Transformers is an entertainment franchise. 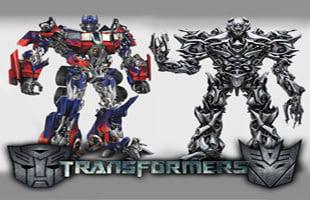 It began with the Hasbro Transformers toy line, centered on two factions of warring alien robots which are called the Autobots and the Decepticons. In its 27-year history, the franchise has expanded to encompass comic books, animation, video games and films. The series has been a hit, football players are even nicknaming themselves after these Autobots, check out Megatron on the Detroit Lions. That 'Transformers' Spin-Off Starring Bumblebee Will Reportedly Feature a "Cheaper Director"